Let’s set the stage: you have an instrumental performance degree and a teaching degree in band or orchestra. After graduation, you find yourself working as a long-term substitute teaching band or orchestra. As that position comes to end, you are offered a long-term substitute teaching position in elementary general music, even though you haven’t set foot in a general music classroom since you were in elementary school. What do you do? The above scenario was my personal experience, and my first instinct was to say no. Luckily, one of the music teachers I was working with at the time asked, “Why not? You’ll have all the lessons planned for you. It’ll be interesting.” I took the job and I learned that teaching elementary general music doesn’t have to be a scary new endeavor if you trust the skills you already have as a teacher and as a musician. You bring more to the table than you think you do! There are many similarities between teaching instrumental and general music classes, including related concepts such as posture, breathing, and tone production. Also, your basic instructional strategies remain the same: varying repetition, sequencing activities to complement students’ energy levels throughout the lesson, and selecting quality repertoire. Moreover, students of all ages desire recognition and acceptance and require a safe learning environment to explore and grow. Rely on your strengths as an instrumental teacher and transfer your skills to your general music teaching. Even if you don’t have formal vocal training or are not used to singing, your musicianship will provide a solid foundation for teaching general music. Your ability to sing in tune is key, and no vibrato is preferable as a voice model for elementary general music classes. If you are not used to singing, implement a warm-up routine at the beginning of the day to protect your voice just as you would a warm-up regimen to prepare for a practice session on your principal instrument. I highly recommend the book Developing Musicianship through Improvisation by Christopher Azzara and Richard Grunow. You can play the CD and sing along in the car on the way to school! It’s a terrific way to improve your inner hearing and gain comfort singing melodies, basslines, and solfege. Your piano pedagogy will come in extremely helpful as well; even if you don’t have terrific piano reading skills. Young singers are most comfortable in D major, F major, etc. and you don’t have to read the piano score. Improvise chords (a.k.a. “boom-chuck”) while you or the students sing the melody. If you are not a guitarist, the ukulele has grown in popularity in general music classes and it is much easier to learn as an adult. I found it very easy to learn to play simple chords, and regularly play the ukulele to accompany students while they are engaged in singing games or activities, so I am not “stuck” behind the piano and can move freely around the room. Teaching about instruments around the world is an important part of the general music curriculum. Captivate students with your knowledge and expertise when introducing instruments and play for them. Draw on your knowledge of instrumental repertoire to teach the elements of music: melody, rhythm, timbre, dynamics, style, form, and tempo. You can also perform melodies from grade-level repertoire on instruments rather than always modeling with your singing voice. Upper Elementary: Transition from rhythm solfege to numeric counts or your district’s secondary rhythm syllable system. Middle Elementary: Introduce rhythm syllables and notation in duple and triple meters using rhythm solfege. Lower Elementary: Students listen to you sing and chant music in various regular and irregular meters. Introduce rhythm patterns in duple and triple meters using neutral syllables. Structuring elementary general music plans will be different than planning for ensemble rehearsal. Young students have short attention spans and require numerous activities even in a short lesson. As a general rule, if a student is 8 years old, your activities should be no longer than 8 minutes. Most kindergarten activities are approximately 2-3 minutes. While the general music curriculum is filled with objectives, it’s important to remember that young students are eager to play and explore. The general music class should include many opportunities to explore sound and be playful while learning. Classroom management in elementary school is the catalyst for successful teaching and learning. Ask other specials teachers in your building about the possibility of a consistent set of rules/expectations. Some teachers create incentive programs for good behavior (i.e., sticker charts), but I believe the best incentive for positive student behavior is to make music class dynamic and engaging, so students choose to make good choices because they simply want to participate. Also, show your students you respect them by holding them to a high standard (expect their best efforts), learning their names, and listening to them. Transitions between activities are very important for classroom management. Create seating arrangements conducive to movement activities and smooth transitions. If students are wondering where to go, you will lose control. Take the time to establish seating charts and transition procedures right away and constantly reinforce expectations. For example, during movement activities, my students know the following expectations if they want to fully participate: move in self space, listen while you move, and freeze on two feet. Meet students at the door singing! I always have music playing or am singing when my students enter my classroom. All I have to say is “rainbow spots” or “circle spots” or “move in self space” and they know what to do and where to go. Using non-verbal cues to streamline direction is very effective; I regularly use sign language for “sit” and “stand” and students sign “bathroom.” Making eye contact and nodding your head to affirm or shaking your head “no” is very efficient and doesn’t disrupt instruction. Sing everything you can. Students are captivated when you use your singing voice throughout class; improvise verbal directions. This is a terrific way to surround students with multiple tonalities and meters as much as possible, and encourages them to improvise as well. If you have a voice amplification system in your room, use it all day, every day. It not only saves your voice, but allows you to utilize “quiet voice” to attract students’ attention throughout your day. Finally, motivate and engage your students with props. Students who are reluctant to sing alone or even participate in an activity will often participate if using a prop, such as a puppet, bean bag toss, pipe cleaner, squishy ball, or scarves. The simple act of handling or manipulating a prop helps students to lose their inhibition and engage in a musical task such as singing the resting tone or improvising a rhythm pattern. You truly know more about teaching elementary general music than you think you do. Get to know your students and review the cognitive stages for child development. When planning lessons general music, first consult your curriculum and determine what your oldest students need to learn. Next, determine the sequential learning steps students need to take in order to get there. When selecting repertoire, if you don’t know where to start, begin by making use of the grade level series in your classroom. I highly recommend Music Play by Wendy H. Valerio et. al, for your littlest music learners, and John Feierabend has wonderful resources as well. 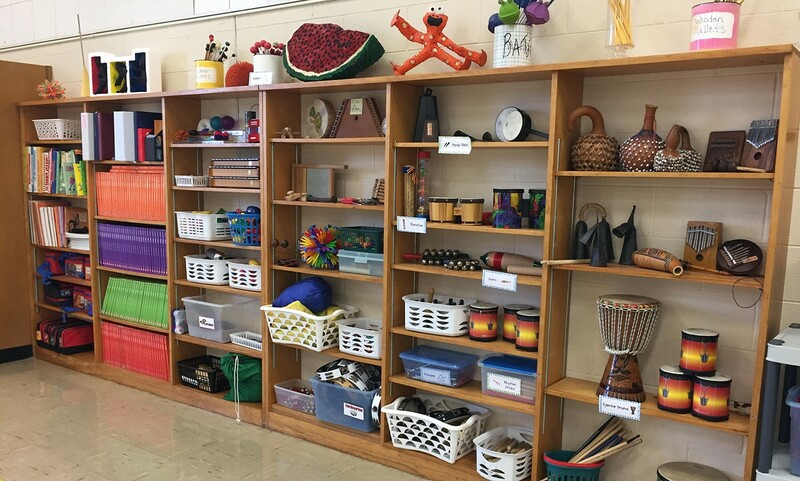 Establish music room procedures and expectations and reinforce them to create a safe learning environment. Remember that your students are learning right along with you – the more you try, the better you’ll perform. Learning is all about making mistakes, as your students will be the first the inform you. Finally, plan your lessons with creativity and fun in mind. It will become a habit! Corynn Nordstrom, N.B.C.T., has 13 years experience teaching elementary general music. She earned a B.M. in clarinet performance and education, an M.M. Ed from the University of Michigan, and is Level 1 certified in Music Learning Theory and Kodaly. Corynn served as Michigan Music Educators Association treasurer, receiving the 2009 MMEA Hilda Humphreys Award for service to the profession early in her career. 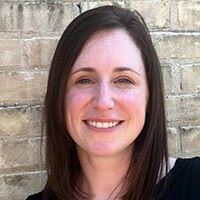 She is currently the early childhood chair for the Wisconsin Music Educators Association, writing for the Wisconsin School Musician. Corynn actively performs on clarinet, specializing in E-flat and bass, and woodwind doubling.